March 22nd in Viral, Wordpress Plugins by Wordpress Jedi . Plenty of people are addicted to betting on sports and other events. It can be an expensive habit to have. 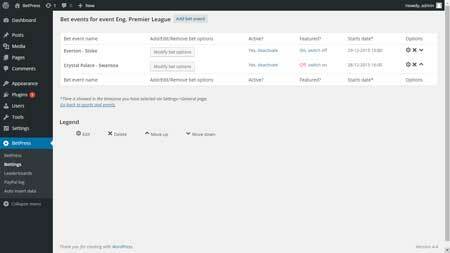 Want to allow your visitors to place bets on sporting events but don’t want to use real money? BetPress has that covered. It works like a bookmaker’s website but uses points instead of money. The plugin supports 3 odd types for you to use. You can sell points to your visitors via PayPal to make things more interesting. 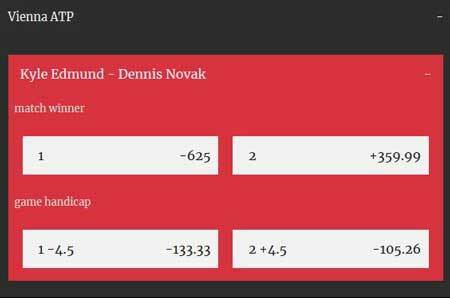 BetPress comes integrated with Betclic API, so you get up-to-date betting information fast. 2 widgets, 5 shortcodes, and more than 15 settings are available for you to play with. BetPress is responsive and ready to be translated. It was developed by web-able.